Watch full Naruto Shippuden Season 18 Episode 7 English Dubbed full HD online. Naruto Shippuden Episode 379 English Dubbed online for free in HD. Minato was about to teleport Naruto and Sasuke away from him when Tobirama uses a shadow clone to take the detonating Truth Seeking Ball back to Obito who shields himself from the explosion. Meanwhile, the Allied Shinobi are intimidated while witnessing the god-like battle between Madara and Hashirama until Shikamaru uplifts their morale while telling them that because no matter how little power they have in comparison to the legendary ninja, even the smallest opening could be exploited. 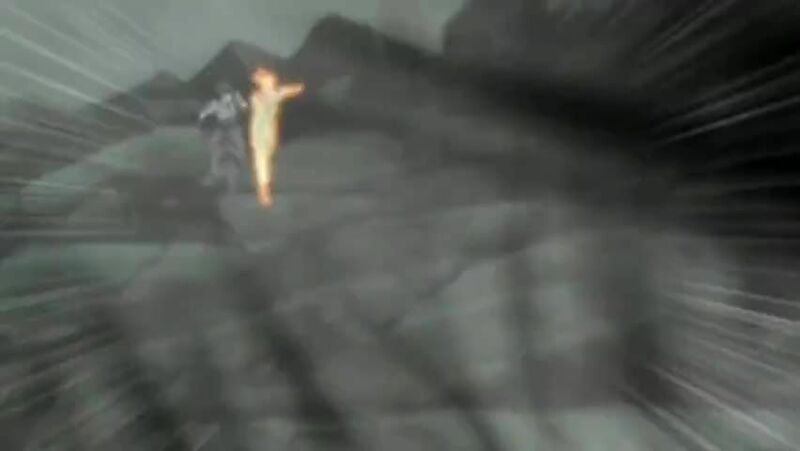 After readjusting their plan of attack, Naruto and Sasuke combine their techniques to create an opening but Tobirama and Minato strategically use their Flying Raijin techniques so that the Scorch Style Nimbus Tempest instead hits Obito. But Obito emerges from the flames, unscathed as it is revealed that the Truth Seeking Balls contain Yin-Yang chakra that negates the regenerative abilities of reanimated ninja. Matters are worsened when Naruto’s Nine Tails Chakra Mode runs out while Gamakichi makes an attack on Obito with his Starch Syrup Gun before the Summoning Jutsu expires. From there, Obito berates the title of Hokage. But having seen the effect of Gamakichi’s attack on Obito’s barrier while angered by Obito’s words, Naruto, with the help of Tobirama, successfully lands a senjutsu Rasengan on Obito’s back. Minato amazes on Naruto becoming a sage like Jiraiya before being suddenly contacted by Yin Kurama, who reminds him that Naruto did manage to befriend his other half.